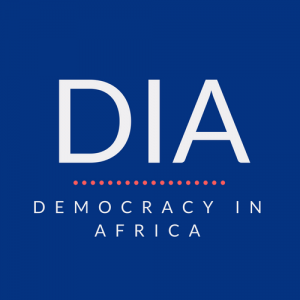 This platform exists to share news and analysis about all aspects of African politics and nothing gives us more pleasure than publishing a new author. We are particularly keen to receive pieces based on fieldwork, recent events and from people living in Africa. And every quarter we award a prize of US$100 to the best piece published in the previous period! Good topics include elections, corruption, human rights abuses, unsung heroes, popular culture, democratic institutions, political identities, the media, commodities, and important stories that have been missed by the mainstream press. Please not that we are a voluntary enterprise with no income, so we are not able to pay for pieces. Articles should be between 800 and 1,000 words unless there is a specific reason they need to be longer – we find that less people read them the longer they get. Please write in accessible language and don’t use jargon – the aim of the website is to communicate to a broad audience so we try and write in a way that everyone can understand. Keep it snappy and make sure that the first few lines tell the reader what the piece is about, what you want to argue, and why we should care. If at all possible, please send through a high quality image of your fieldwork or the topic you are writing about that you have the rights to (i.e. you took it or it has explicitly been made freely available). We like to feature these with our articles. Please make sure that you include hyperlinks in the text (i.e. link to other articles and information on the Internet that back up your claims and data). In Word, you can do this by highlighting the relevant text you want to link, selecting the “Insert” menu, selecting the “Hyperlink” option (right at the bottom) and then pasting the link into the first box. We are always happy to discuss ideas with potential authors, so please send us an email before submitting your piece to check that it will fit with the website and that we don’t already have someone scheduled to write on the topic.